Majority of the insurance companies collect premiums on a timely manner but when it comes down to paying policy holders claims, they try to find ways of cutting down the costs. A large number of home and business owners have suffered significant loses as a result of property damage because the insurance companies were not willing to settle claims. However, you don’t have to fall among this statistic. 1st response public adjusters have come to be known as the leading public adjuster in the market. Through the years, the company has helped property owners recover high claims from insurance companies. As a home or business owners, nothing is quite as devastating losing your property and not getting the compensation that is needed to get you back on your feet. This can leave you feeling disoriented and also interfere with your operations. Working with a well known and experienced public adjuster gives you hope in the fact that they take care of all the aspects to ensure you get your claims settled. The first thing that comes to mind when you lose your property is to take what the insurance company offers you and settle. However, when you decide to do this, you end up getting a lower sum than what you bargained for and it barely covers your expenses. On the other hand, public adjusters understand the rules and statues that govern insurance companies and consequently, work around the clock to ensure that you not only get your claims settled by you get he highest possible claim. Your current situation does not matter at all when seeking the services of a public adjuster. At 1st response public adjusters, we can take on your case regardless of how big or small it is. This is because we believe that everyone is supposed to receive fair representation. You just need to represent your case to our and once we get all the details, we begin working on the appropriate documents in order to get things rolling. You don’t have to settle for the lowest claim compensation when we can get you the highest. 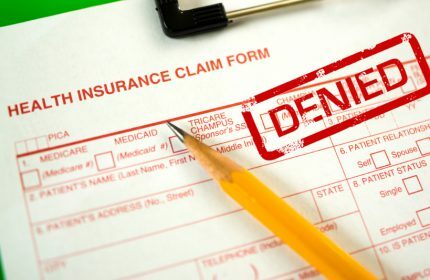 As a home or business owner, it highly likely you don’t understand your insurance policy well and as such, if you decide to file for claims on your own, you will not get what you rightfully deserve. To avoid this, 1st response public adjusters come to your aid. Over the years, they have helped property owners recover millions of insurance claims and you can recover yours as well by simply relying on the adjusters. They are experienced and well versed with the terminologies used by insurance companies to throw you off track. Consequently, by consulting with them today, you set the stage to receive the highest amount of compensation. The 1st response public adjusters are also known to have all the necessary tools required to follow through with the process of filing for claims and this is what makes it easy for them to help you recover millions of money. In addition to this, they have the knowledge needed to argue your case and present it in a manner that ensures the insurance company pays your claims.